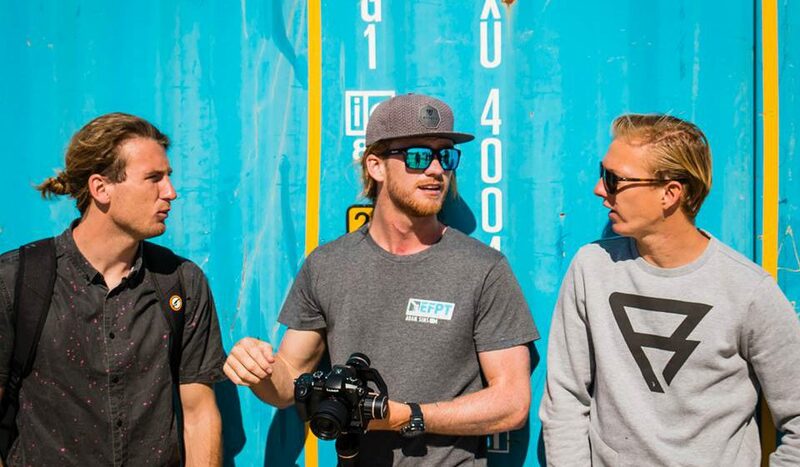 Adam Sims, pro windsurfer from the UK, is the man behind the EFPT video-production, which was first launched in 2017. 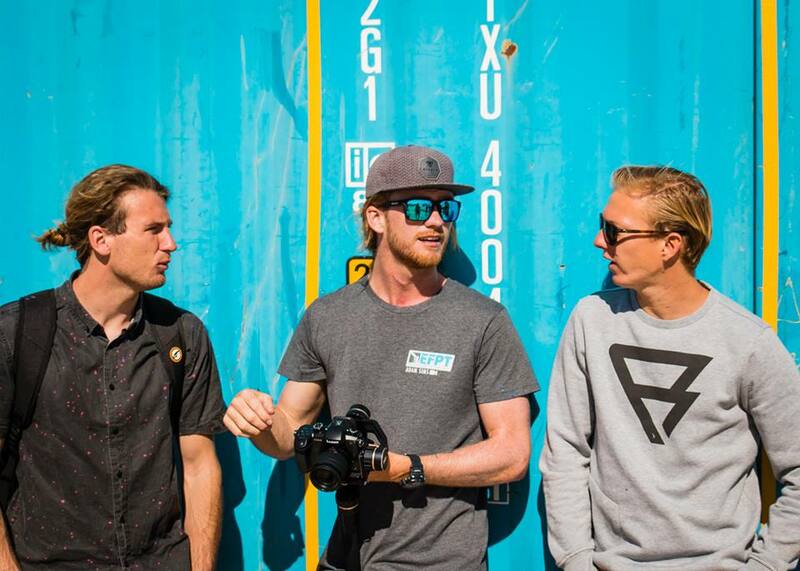 Being a freestyle competitor and passionate videographer for many years, the Sailloft and Patrik Diethelm team-rider knows exactely what it takes to produce an action loaded clip, that would not only fascinate the windsurfing community, but also the world beyond it. We caught up with the talented Brit, who already delivered some of the best event movies ever – and this shall just be the start of what’s to come. EFPT: Adam, in the last years you gained popularity, not only for your windsurfing skills but also for your talent in videoproductions. How did you get into filming? Adam: Well thanks, yeah actually my earliest memory of film production is after a long trip I did with my family, we spent a few years travelling on a sailing boat across the Atlantic Ocean, and up and down the Caribbean, when I was 8-12 years old. When I returned to school, my Geography teacher asked about a presentation of the trip to my class and I remember sitting in the living room with my dad and some VHS tapes trying to cut some sort of video to some fairly choice music. I loved the video we made but nothing much happened until I really got into windsurfing, I just got excited to film, partly to learn faster but also I was totally inspired by ‘About Time’, the Jason Polakow movie, I think that and the indoor windsurfing in London is what got me into windsurfing. So I guess windsurfing is what really got me into filming. EFPT: How many videos have you produced since you started? EFPT: The EFPT event videos had a huge impact, with the last one hitting more than 20k views. How do you break down the success of it? Adam: Actually that’s sick. I’m stoked about that, we were trying a few things, learning from each video, kind of sharing feedback and ideas between the EFPT crew and I also ask and listen to everyones feedback, literally everyones. Positive or negatiave, it’s important to know what people think. I’d say posting on the right platform obviously helps, in the end the more people you can reach the better. But for sure the action as well, knowing the sport and what each rider is potentially about to do certainly helps, there’s a lot to it, even the presenting is helpful I am sure. EFPT: What and who inspires you? Adam: In a way everyone inspires me. I mean to this day the ‘About Time’ movie from Polakow is pretty much the best thing I’ve ever seen in windsurfing, if not the best. But every movie I watch in windsurfing I get inspiration from. I would say though that I spend more time watching movies from surfing, snowboarding, mountain biking, skiing and these sports. From the shots to the way the guys present the productions are epic, I love to watch documentary style movies and then also events equally. Highlight reels, well presented events, etc.. I can watch the World Surf League all day long, or tune into the Red Bull Rampage from start to finish, why because it’s presented super good, filmed super well and cut to perfection. EFPT: You are still recovering from a cervical spine surgery and cannot participate on the tours professionally this year. How does it feel to be on ‚the other side’. Adam: Wellllll watch this space. I managed to get on the water 3 days ago for the first time (7 weeks after the surgery) for a ‘freeride’ session, which involved a few moves. I do actually intend on competing before the year is out, in fact in July already. As for the ‘other side’, well it’s sick. I love filming and editing, it’s some crazy hours during events, but there is nothing like publishing a video you are happy with which you filmed that very day, especially when the competitors provide such epic moves/action, it certainly makes my job a little easier. 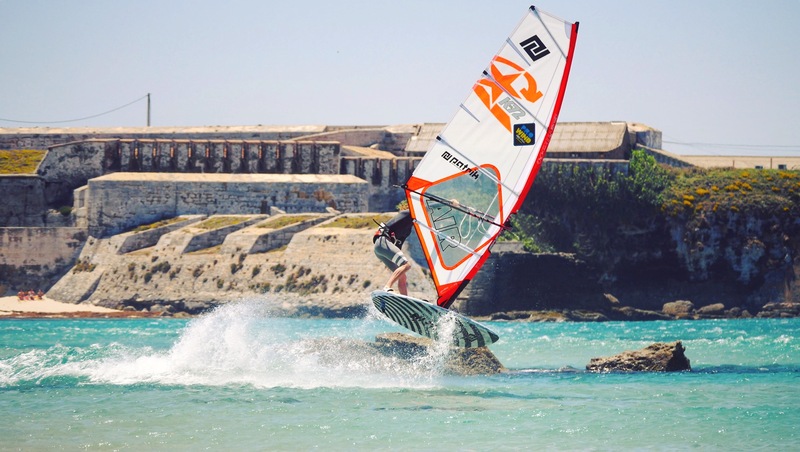 EFPT: Where do you see the necessity and advantages of producing such videos for the freestyle windsurfing tour? Adam: Because I’ve learnt that a storyline, no matter what it is is essential. The aim this year is to try and focus more on the riders and to educate people who don’t know the sport so much, or even those that do, what goes on behind the scenes. Many of us know that Yentel Caers has landed such and such radical combo, or Steven VB can go out and rip double power moves for an hour and not get his hair wet, but those ‘many people that know this’ are the riders, 30-40 people within the sports most technical, and to be honest, pretty damn confusing discipline. It’s gone way too far for anyone to comprehend, even the wave guys who are keen wouldn’t be able to tell you what a spock kabikuchi kono is. 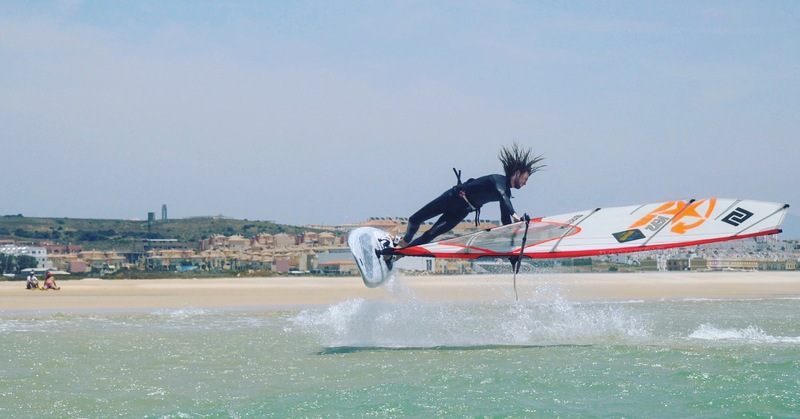 So I want my mum to be as excited about windsurfing after the edit as much as I want Steven Van Broeckhoven to be stoked to windsurf from the video. EFPT: Where do you wish to take it? Adam: I don’t know, that’s a good question, for me personally I have a couple projects I am working on. I’m certainly open to offers at the moment, haha. I’d love to produce some longer documentary style movies of my own as well and perhaps encourage brands to invest in video production a bit more. EFPT: When will we see you in front of the camera again? Adam: I guess sooner rather than later, I made it onto the water already and got a few shots of my first session. I’m supposed to take it slowly but that’s really not easy when you know what you could be trying, I guess I got a quick reminder to keep it easy for a while longer when I felt a slight pain in my neck after a small crash. I was producing these vlogs over the winter a bit to work on producing faster edits, it was a good exercise and actually kinda got more positive feedback than expected, I might pick this back up with a second series, let’s see. I’m not super into the word, Vlog, so it may kick off with something else. To keep up to date with Adams movies, or watch them back, make sure to follow EFPT TV on Youtube, Adam’s Youtube Channel and Adam’s Vimeo Channel.